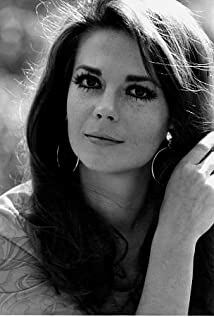 Born Natalia Zacharenko in San Francisco to Russian immigrant parents, Natalie Wood was an American film and television actress. She is best known for her roles in Miracle of 34th Street, Splendor in the Grass, Rebel Without a Cause and West Side Story. Wood began acting in movies at age 4 and was in the holiday classic, Miracle on 34th Street at age 8! Before age 25, Wood had been nominated for three Academy Awards. In the 1970s, Wood took a break from acting to have two children, Natasha Gregson Wagner and Courtney Wagner. Wood was married three times: twice to actor Robert Wagner (from 1957 to 1962, then from 1972 to 1981) and to producer Richard Gregson (from 1969 to 1972). At the time of her death, Wood was filming the film Brainstorm. It was during a weekend boat trip to Santa Catalina Island, Wood drowned. Many facts surrounding the drowning are unknown because it was never determined how her body entered the water. She was with husband Wagner, co-star Christopher Walken and boat captain Dennis Davern. Her body was discovered at 8 a.m. on November 29, one mile away from the boat. A small inflatable dinghy was beached nearby. Wood’s autopsy revealed her body had bruises on her body and arms and an abrasion on her left cheek. She had an elevated blood alcohol level and two types of medication in her bloodstream (a motion sickness pill and a painkiller). Her death was ruled an accident by drowning and hypothermia. Controversy has followed ever since. Wagner stated in his book, Pieces of My Heart that he and Wood had an argument before her disappearance. The captain also stated that he lied to police during the initial investigation. He now admitted that Wagner and Wood had had a fight and alleged that Wagner may have been responsible for her death. In November 2011, the case was re-opened. After nine additional months of investigation, Wood’s cause of death was amended to “drowning and other undetermined factors.” Again, the circumstances of how Wood’s body ended up in the water could not be clearly established, nor could it be determined whether the bruises were caused before her death or as she was drowning. Wagner has denied any involvement in Wood’s death. The mysteries surrounding Wood’s death remain.